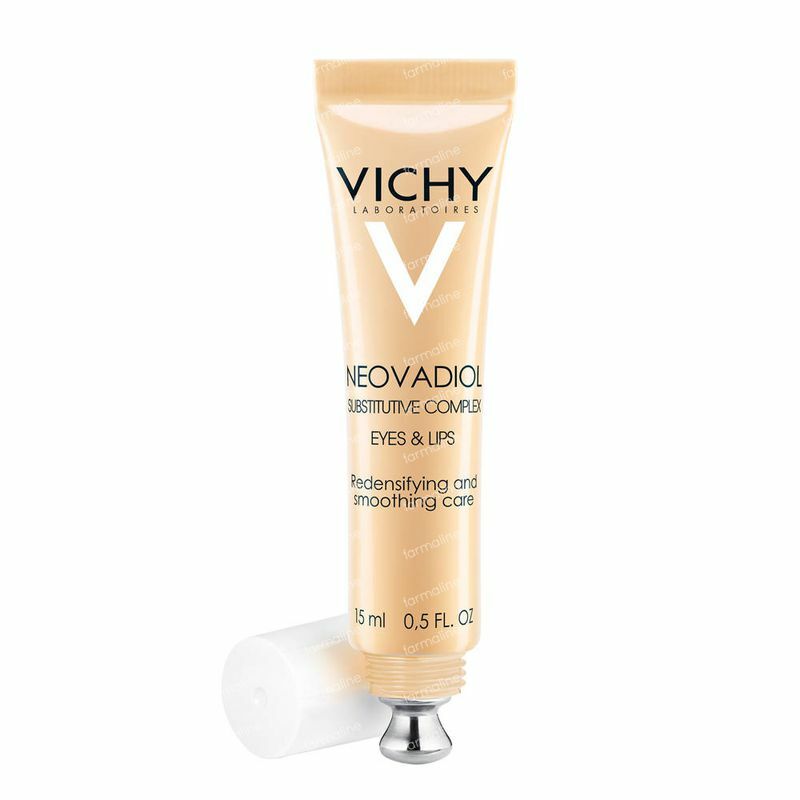 Vichy Neovadiol Contour Lip And Eye Contour 15 ml order online. To better understand how your smile and your look develop over the years, Laboratoires Vichy have carried out a lip and eye development analysis. This analysis made it possible to measure the curving, angle and length of 400 women’s wrinkles, which simultaneously mark the contours of these zones. This has shown that the lips and eyes are subject to the same vertical distortion as they age. Between the ages of 30 and 50, the corners of the mouth and the folds of the crow's feet collapse and become longer. Thanks to scientific research, skin reconstruction is possible. This progress has put forward a unique combination of active ingredients: Proteic Gf, which stimulates the synthesis of growth factors, is an indispensable protein in skin reconstruction, and Pro-Xylane, which strengthens the skin-supporting tissue, are reservoirs of growth factors*. In order to strengthen the effect on the areas around the eyes and lips, these "tissue builders" have been combined with Eperulin, an active substance originating from one of the strongest trees in the Amazon. This active ingredient has been tested in vitro and has demonstrated its ability to reduce pigmentation and vasodilatation of the skin to help reduce the appearance of bags and circles. Redraw your lip contour and liven your look. A redrawn smile, a more lively look. For women in the menopause who want to prevent the effects of hormonal ageing on lip and eye contours. Apply daily in the morning or evening to the contours of your lips and eyes.